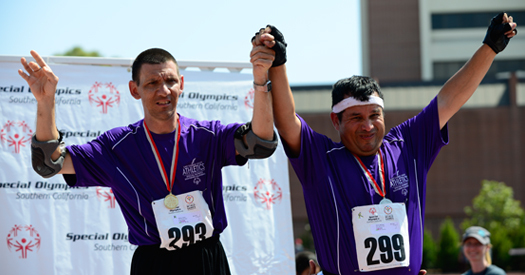 Special Olympics sports competitions ensure that athletes of all abilities be given an equal chance to succeed and thrive at their chosen sport. Athletes in competitions are matched up with others of the same gender, age, and competitive ability. 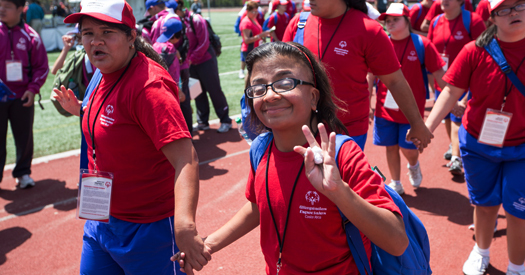 Special Olympics athletes are children and adults with intellectual disabilities who are like other athletes – they love to train, compete and do their best, whether they win or lose. 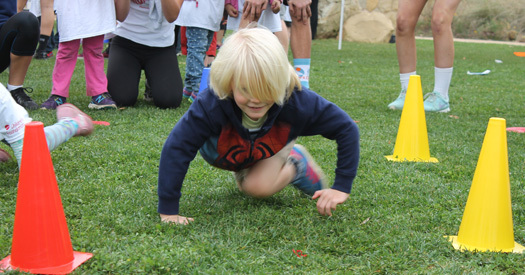 All the programs offered in Southern California provide athletes with the chance to develop physical fitness, sports skills, social skills and self-esteem. 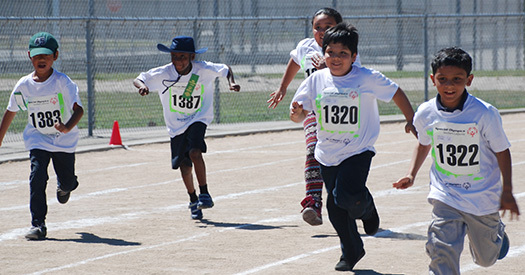 Special education students score goals, hit game-winning baskets, and break through finish-line tape with their arms wide open during Special Olympics Southern California’s school competitions. Children ages 2 to 7 enjoy games and activities that develop motor skills and hand-eye coordination. 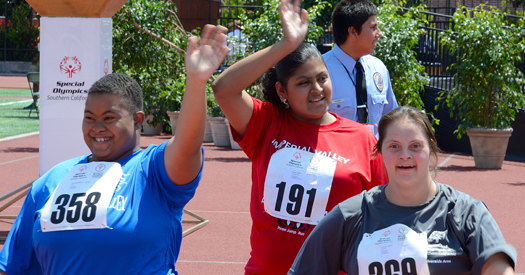 Young Athletes is an early introduction to sports and to the world of Special Olympics. The children learn new things, play and have lots of fun! Dedicated to promoting social inclusion through shared sports training and competition experiences, Unified Sports joins people with and without intellectual disabilities on the same team. Having sports in common is one more way to eliminate false preconceptions and ideas and create a feeling of acceptance.